Scorpion Vision Software 7.0 supports the Goodrich NIR linescan Cameras. The image below is scanned with a NIR scanner developed by Tordivel Solar AS. 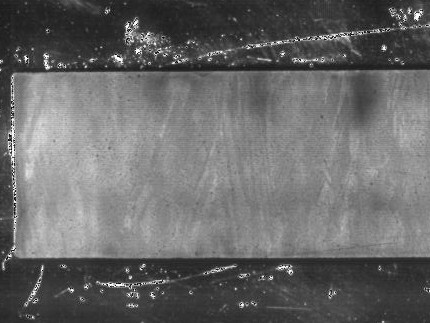 It shows a piece of silicon used for wafer production. The dark areas are contamination and must be removed before the silicon can be recycled.